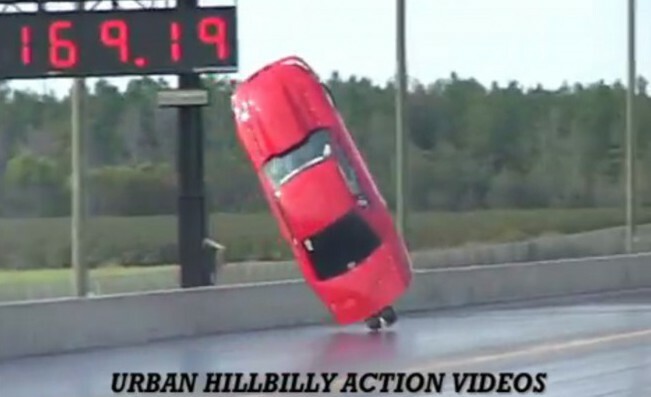 This is the original footage from Urban Hillbilly Action Videos of this 3000 HP Twin Turbo Ford Mustang, that got a rough start in a race but makes the comeback of a lifetime. We don’t even think the front wheels touched the ground all the way down the track!! Don’t forget to check out the video of the crash below where the car takes off sky high, and is a total loss. Driver is ok! THEN THIS HAPPENED! He is rebuilding now. 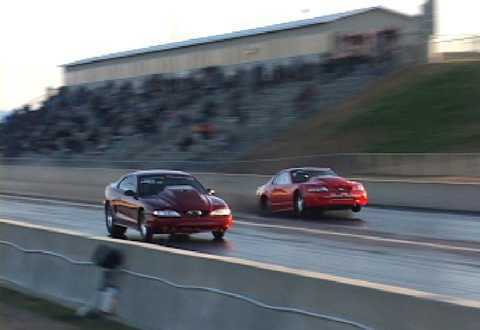 This is the same car that you just watched at the same track.. The video on how it happened is here.